The final days and weeks leading up to the closing date of a real estate transaction are often consumed with organized chaos for both buyers and sellers. Time management and difficult decisions are a large part of each day surrounded by newspapers, bubble wrap, boxes and limited functionality, while maintaining their normal lives of work and school because they must. At this point, both buyers and sellers have become experts on topics which they knew nothing about before and have learned how a night of sleep can make a difference how they respond to a question or issue. Here are a few reminders to help keep you on track and what to expect as you get ready for the big day, because you deserve a smooth closing after all you have overcome. Check the expiration date of your driver’s license in advance to make sure it will be valid on the closing date. If you have an out of state driver’s license, or if your primary residence is not in Maine, you should inquire with the title company in advance of the closing, to see if you are eligible for a waiver of the Maine withholding tax. 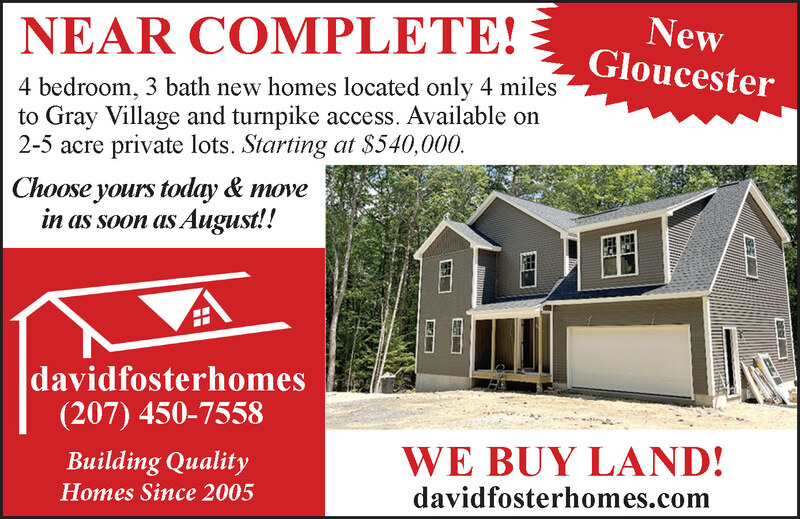 It is important to request this form; complete it and submit prior to your closing. Before the closing, be sure to contact all utility providers for your previous address and the new location to transfer your account to the new address to make sure you will have service and sellers should stop service after closing to avoid being charged. 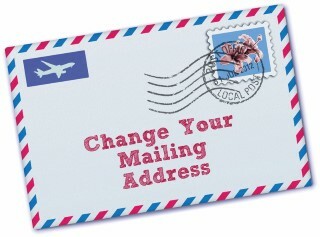 Visit the post office to arrange for your mail to be forwarded to your new mailing address. Call each individual line of credit and account holder to update your address and cancel all automatic deliveries to your previous address. You may want to exchange contact information with the buyer or seller in case you receive their mail following the closing; or you can return it to the post office or contact their real estate agent to let them know. Review your closing disclosure carefully and compare it to your loan estimate upon receipt. If you find any discrepancies, then contact your lender immediately and ask any questions that you have about the terms. Ask the title company’s processor or your real estate agent to help explain any areas you are uncertain about. Changes to this document can cause delays to the closing date so it is important to confirm receipt and review ASAP. Most agreements will allow for the buyer to visit the property prior to the closing to confirm the seller has vacated the premise and it is free of personal property (unless otherwise agreed upon) and any debris has been removed. Buyers will want to confirm the property is in the condition agreed upon in the contract and check on any repairs which were to be done following the inspections. If you find some of these issues are not satisfactory, your buyer agent will help you by reviewing what options exist and creating a plan of resolution, which may or may not include delaying the closing date. Unfortunately, there has been a sharp increase in hackers intercepting emailed wire transfer instructions. Carefully read the Cyber/Wire Fraud Advisory provided by your real estate agent and follow the instructions from the title company to take steps to protect yourself. Never initiate wires without double checking and verifying the legitimacy of the destination. Allow plenty of time for your closing and do not schedule yourself to be elsewhere a few hours later in the event a delay occurs at the table. There are times when a name is spelled incorrectly, a required document is missing and needs to be obtained or you need to wait for funds to be wired. Sometimes you may wonder when you walk into your closing: “Who are all of these people?” The closing agent will be seated where the large amounts of paper may be easily explained to both buyer and seller and passed for signatures. The buyers and sellers meet, if they have not yet already, and both of those parties’ real estate agents will accompany them. Often the buyer’s lender will also attend to help answer any questions regarding their loan or financing. Afterwards you will get to leave with lots of important documents for safe keeping during a tumultuous time so have a plan in place for how and where these will travel and be stored to avoid aggravation and don’t forget your new keys!